Want to know what’s new on Blu-ray Disc this week? Let’s start with Joy (2015) starring Jennifer Lawrence, Bradley Cooper and Robert Di Nero. The film is an emotional comedy about a woman who builds a business dynasty, but then faces all the trials and tribulations that come with it. Joy is available from 20th Century Fox on Ultra HD Blu-ray (4k), Blu-ray, and DVD, and also includes extra bonus material. 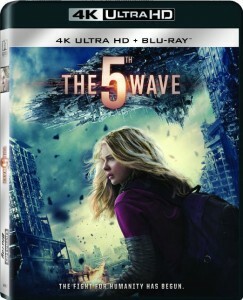 The 5th Wave is another film that has been released to Ultra HD Blu-ray, Blu-ray, and DVD. The Sony Pictures blockbuster focuses on four waves of deadly alien attacks that leave most of Earth decimated, starring Chloë Grace Moretz, Matthew Zuk, and Gabriela Lopez. The Ultra HD Blu-ray edition includes both BD, 4k, and Digital HD copies of the film. 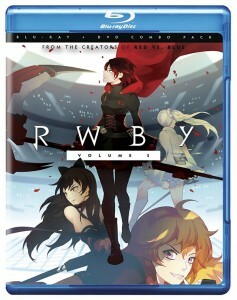 And, the best-selling animated series RWBY from the creators of Red vs. Blue is now available in a 2-disc Volume 3 Blu-ray edition that includes a DVD copy. The series follow four young women: Ruby, Weiss, Blake, and Yang; as they train to be monster-battling warriors at a college named Beacon Academy. Here’s a list of our selected new Blu-ray picks for the week of May 3rd, 2016.